The default login and password are admin and admin. Skip the Quick Setup and change the password via Administration > Management > User List. Change the password for the cisco user as well. 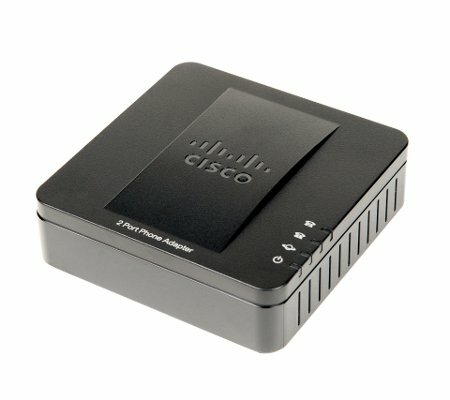 I downloaded the latest firmware from cisco.com. Make sure you read the Release Notes included in the downloaded ZIP file before flashing the device via Administration > Firmware Upgrade. My version is 1.3.5 (004p_XU001). Via Administration > Management > Web Access Management, I changed the Web Utility Access from HTTP to HTTPS. This made the web interface inaccessible and I had to perform a factory reset. As I only will be accessing the SPA112 via the LAN, I guess it is better to leave this setting on HTTP. Via Network > Basic Setup > Internet Settings I changed the Connection Type from DHCP to Static IP. I set the right time settings Network > Basic Setup > Time Settings. I did not change any of the Advanced Settings. Go to Voice > Line 1. Go to Administration > Config Management > Backup Configuration and save a backup on your PC.